From handcrafted, personalized s’mores, fortune cookies, dark chocolate truffles, cookie cake jars and macaroons to mini cocktail infusion kits, stroopwafels and so much more – Gourmet Wedding Gifts curates gifts that are unique and delicious. Shop for party favors, bachelor and bachelorette parties and for gifts for the bride and groom and their groomsmen and bridesmaids and enjoy free shipping and custom design on all products. Shop before November 30 and save 10% with no minimum order!! Yummy!!! Gourmet Wedding Gifts, specializes in unique, handcrafted favors and personalized gifts for weddings and other special occasions. All of our edible favors are personalized, made to order and shipped fresh for your event date. While we work mainly with weddings, our design team can customized any of our gifts for your wedding anniversary, birthday, bar and bat mitzvah, corporate event and more. Check Out this Sweet Cookie & Wedding Dessert Wall and it's Just for the Boys! Lavish Candy Life knows their desserts! These sweet experts brought the donut wall to So Cal and they just keep raising the bar ... the dessert bar that is! Check out this totally awesome cookie and donut wall just for the guys just in time for Father’s Day ;)! 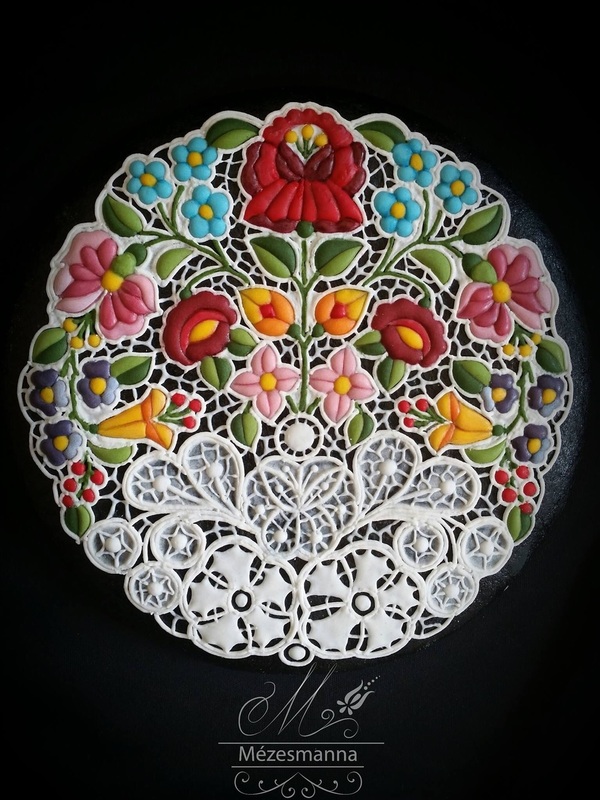 Sweet and simple I carry an immense passion for all sweets, style and design. As far back as a child I was the party planner always filled with ideas and eager to celebrate even the simplest occasion. In college I studied event planning, color and design. I’ve been called a perfection snob. My fresh French macaroons must be displayed beautifully. The candy selection for our candy bars must be color coordinated to my clients color scheme. The donuts must be soft, fresh and tasty perched delicately on lovely pedestal platters or our donut wall. To create a stunning candy or dessert bar and watch my clients joyful reaction gives me pure happiness! Quality and presentation in my work are of utmost importance to me. My favorite part of the process is meeting my clients and unveiling their visions. I love my sweet and savvy daughter that makes my life complete. I love donuts, Greece, and my three dogs Rocky, Cassidy and Stella. Happy Pi Day! 3.14 reminds us all that life is short, eat more pie! Happy Pi day! So it’s 3.14 a great day to remember life is short so why not eat more pie?! Don't wait for your wedding celebration to connect with those you love, or vow to do your best, or enjoy an amazing day surrounded by love (and hopefully some pie like these scrumptious mini pies by San Diego’s preeminent pie bakers Under The Crust ) We love you San Diego! A delicious treat for wedding favors, dessert bars or candy bars, Sugar Mamma Caramels are the yummiest caramel you've ever tasted! Give them out to your guests individually or at a dessert buffet, send them as thank you's to your friends and family post wedding or just take them on your honeymoon to indulge on the beach! Using only the highest quality ingredients with no additives or preservatives, Sugar Mamma Caramels. All their caramels are made in small batches, entirely hand-crafted in their kitchen in San Diego, California. Consider your life complete ... the award winning Donut Bar does weddings! 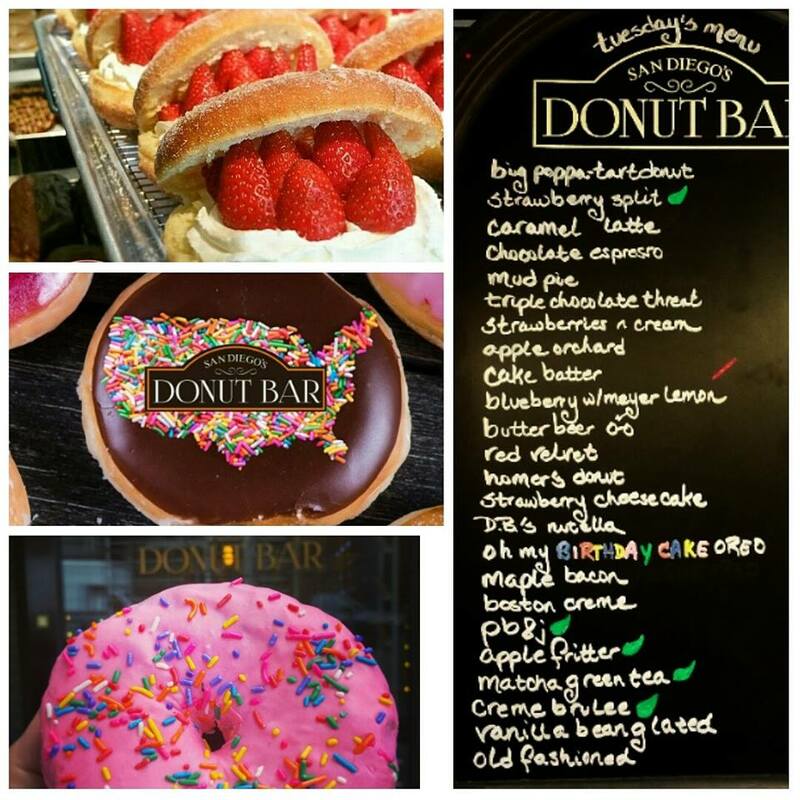 Whatever your day may have brought you that was less than pleasant it matters not now... Donut Bar is here to revive your spirit and help you remember that life in San Diego is good...and tasty...and warm....and sweet! Just like, yes, a delicious fresh donut from Donut Bar. Can't say any more - must get in car and go to Donut Bar - fresh donuts are calling. There is nothing like great wedding cake! This ritual is so important to a wedding reception and the cutting of the cake [like the breaking of bread] is a symbol that two families that were separate are now one! So you definitely want to make sure you celebrate your union with tasty and beautiful wedding cake like the delectable creations of Cake Artist Jennywenny Cakes! don't forget Jennywenny when it's time for your next cake order...the baby announcement!!! 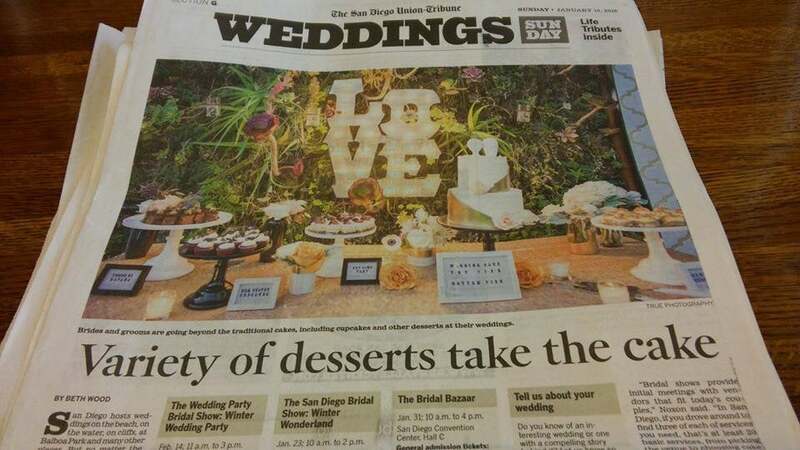 Our Editor speaks to The Union Tribune about wedding cake....grab a slice! We love wedding cake and Editor Pamela Ann Noxon was happy to share her thoughts about this lovely (and delicious) tradition with the Union Tribune newspaper today. Check out some awesome Cake Bakers in our Resources section. And thanks a bunch to True Photography for the gorgeous cake photo for the article! You can taste lots of yummy wedding cake at the February 14 Wedding Party EXPO! Bring your honey, your mom or your best friend to this exciting wedding fair, but get your tickets now.